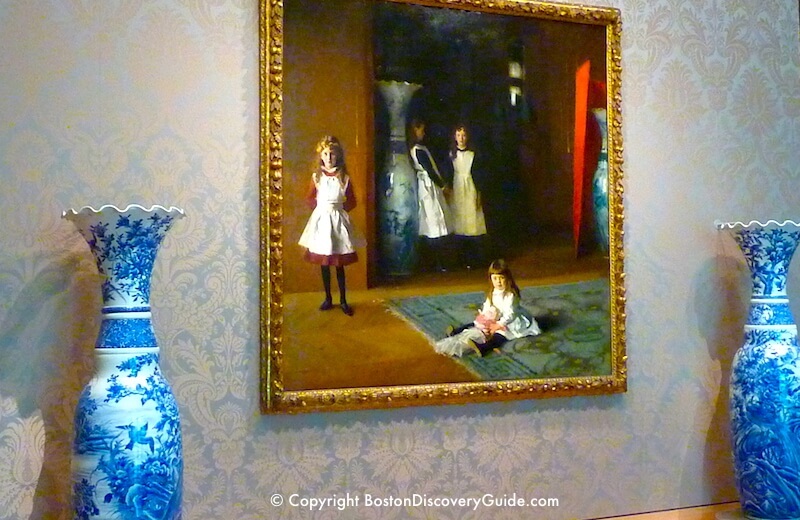 Whether you're coming to Boston for your first visit or your 40th, a family vacation or a quick business trip, here are 10 top attractions to explore and enjoy. 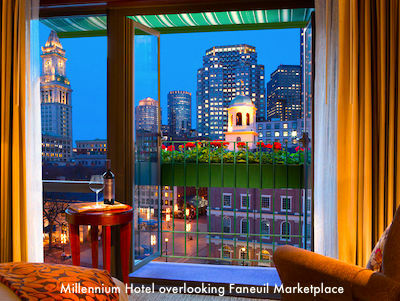 Each attraction shows you to a part of what makes Boston special. You'll get to experience our unique history as the nation's oldest city and our modern identity as a dynamic waterfront city with world-class sports teams, top cultural venues, exciting shopping in beautiful historic neighborhoods, and terrific restaurants. If you want to see them all, allow about three days. Or, just pick one attraction and start there, as each one provides a great starting point for getting to know (and love!) Boston. 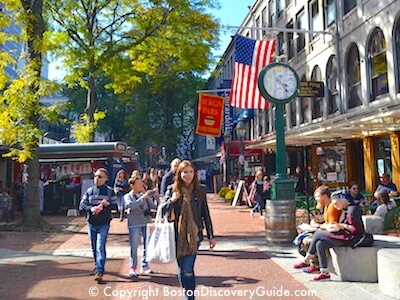 For the ultimate walk through history, follow the red strip of the 2.5 mile Freedom Trail to see 16 sites important to American freedom and civil liberties. In addition to the famous Colonial and Revolutionary War sites along the Trail, you'll see other attractions closely related to America's fight for liberty such as the USS Constitution, known as "Old Ironsides," famous its role in the War of 1812. 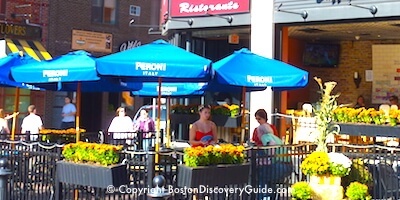 Along the way, you'll pass through several famous historic Boston neighborhoods - Beacon Hill, the North End, Charlestown. Be sure to allow time for a meal in one of the many wonderful nearby restaurants. 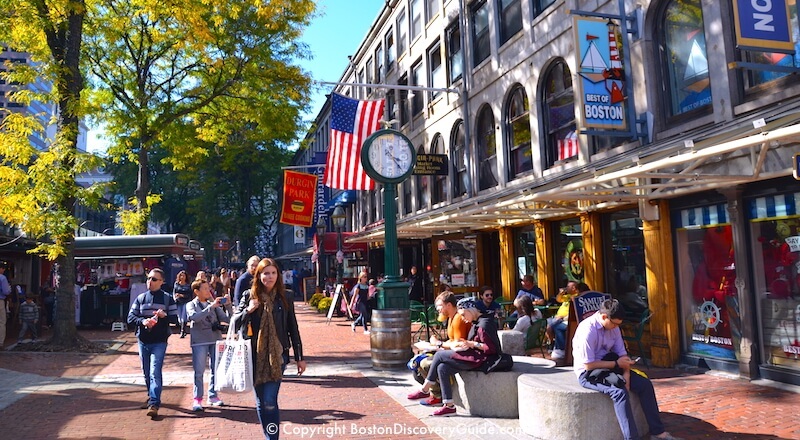 If you love shopping, you'll want to linger in Faneuil Marketplace after you explore the Faneuil Hall on the Freedom Trail. 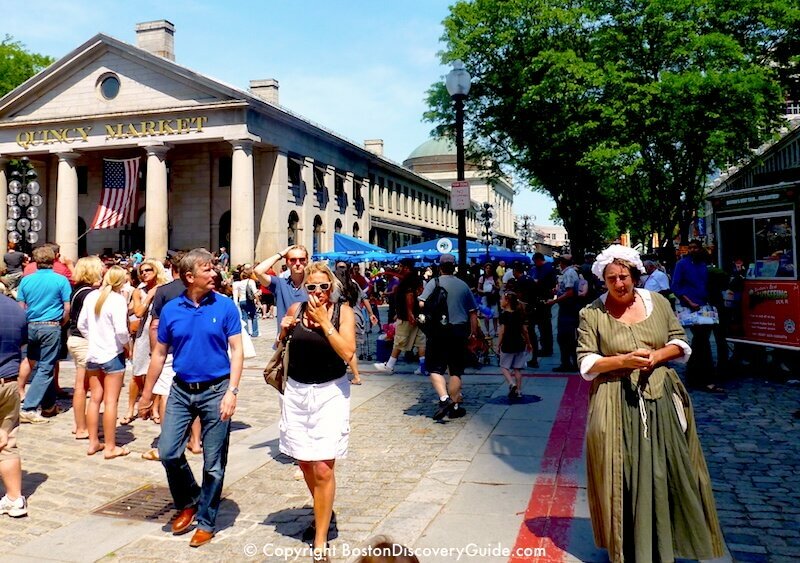 Find out more about where to find a free map, how to explore the Freedom Trail on your own or join a tour led by a costumed guide, and what to see at each of the 16 sites. Built in 1912, Fenway Park is America’s smallest and oldest ballpark, and home field for the Boston Red Sox from April through fall. 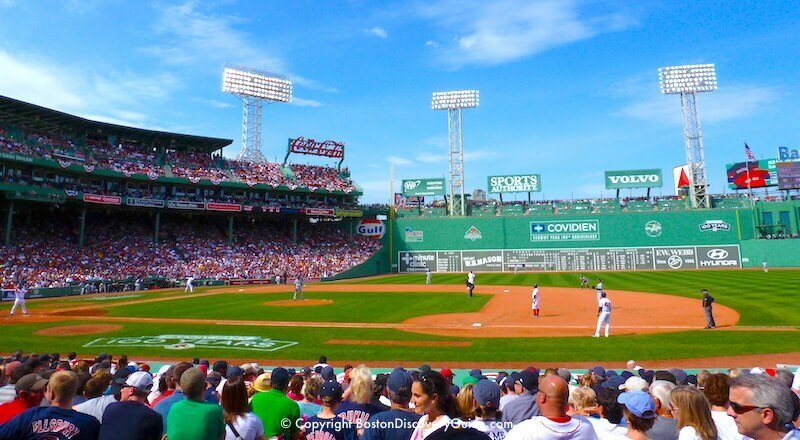 To experience Boston's passion for sports up close, attend a Red Sox game. You'll be surrounded by a sea of Red Sox apparel and chanting fans - and you can join in when the crowd starts singing Sweet Caroline near the end of the game. In case the Red Sox aren't in town when you are, you can still visit Fenway. Get tickets for one of the huge summer concerts or a winter event such as Frozen Fenway. If you can’t get tickets to a game or concert, try a Fenway Park tour (free with GoBoston discount card) or watch the action on the big screens at nearby sports bars. 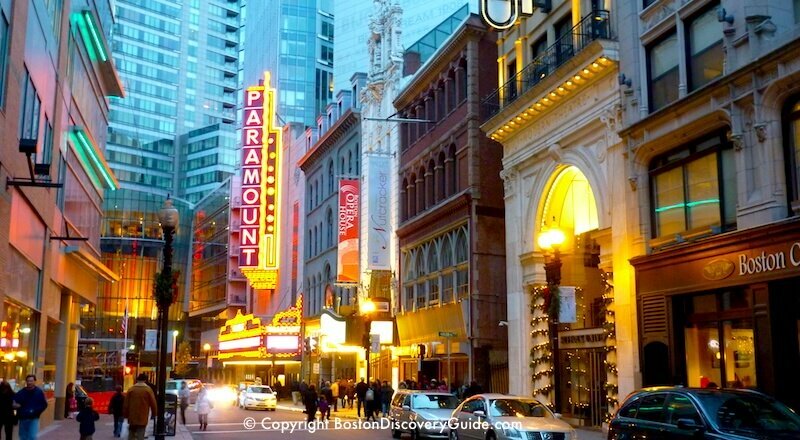 Boston's exciting downtown Theatre District is lined with beautifully-restored historic theaters boasting state-of-the-art performance spaces and comfortable seating. You can choose from Broadway shows, Boston Ballet performances, avant-garde productions, comedy, kids shows, and a lot more. Long-time favorites Blue Man Group and Shear Magic offer performances almost every night of the year, with plenty of matinées as well. With costumed actors, interactive displays, and high tech, the Boston Tea Party Ships & Museum gives you an all-encompassing, totally immersive experience that brings to life the time and events leading up to the American Revolution. 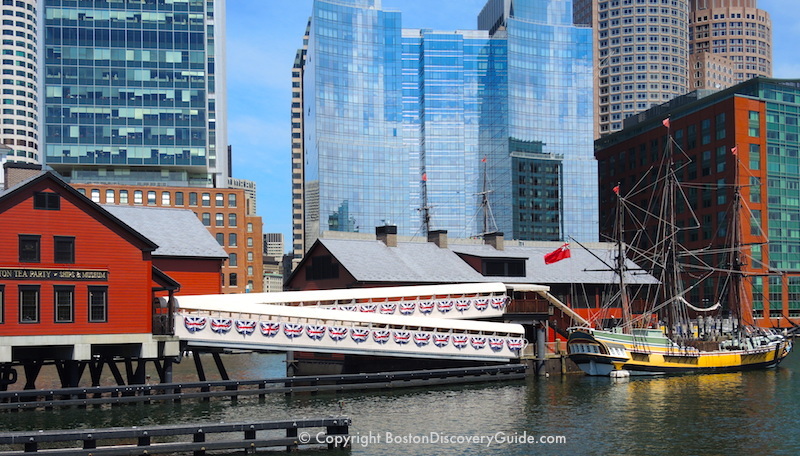 The guided 1-hour tour of the Boston Tea Party Ships and Museum takes you back to the momentous December night in 1773 when the Sons of Liberty touched off the American Revolution with their tea party in Boston Harbor. You'll be entertained, but you also get to participate, explore, and learn. There's nothing else quite like it in Boston! Great for adults as well as kids and teens. With hundreds of galleries filled with treasures from the ancient world to contemporary art, Boston's Museum of Fine Arts can easily keep you enthralled for an entire day, especially if you take a few breaks to sample MFA's various dining options, browse the vast bookstore and specialized boutiques, and perhaps take in one of the special activities such as a tour, film, or performance. Where to start, especially if you have less than a day? Focus on the superb collections that set MFA apart. Start with Art of the Americas, an entire museum wing showcasing treasures from North, South, and Central America, including the Caribbean. Check out MFA's superb Egyptian collection of mummies, statues, pottery, and other artifacts. Visit the Linde Family Wing for Contemporary Art to see recent paintings, videos, sculpture, crafts, and more by artists from around the globe. Stop by the African collection to see West African masks, sculptures, funeral artifacts, and other art. End your visit with a few peaceful moments of relaxation in the Japanese Contemplative Garden located in a secluded spot outside the museum. 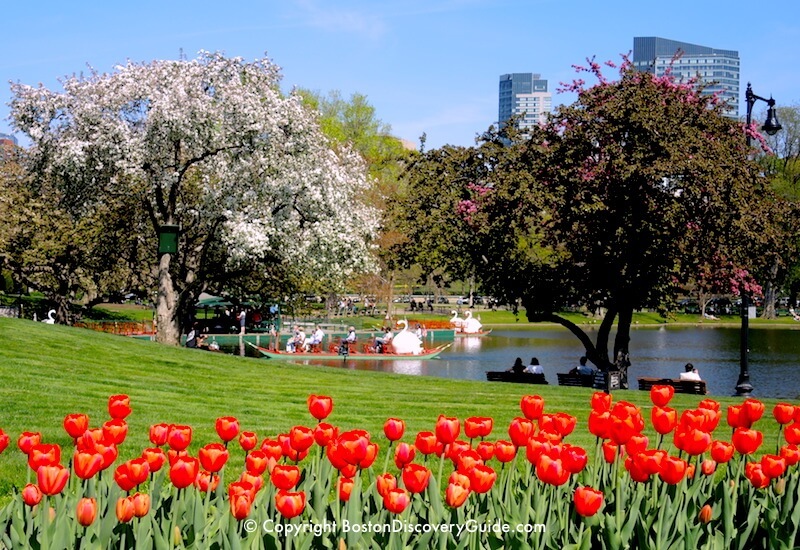 In addition to being one of the most beautiful all-season spots in Boston, the Public Garden is where you'll find the Make Way for Ducklings statues celebrating Mr. and Mrs. Mallard and their eight offspring celebrated in Robert McCloskey's famous children's book. From mid-spring through mid-fall, spend a tranquil 15 minutes on a Swan Boat ride around the Lagoon, where you'll see plenty of Mr. and Mrs. Mallard's descendants, Duck Island, and perhaps a pair of real swans. The Public Garden is located across the street from Boston Common, and together, these two beloved parks form the green heart of the city. Bring a picnic lunch, a frisbee, or just a book, and enjoy a few peaceful moments in this perfect city oasis. Surrounded by water on three sides, Boston offers you a huge variety of waterfront parks, river and harbor cruises, and hotels and restaurants with spectacular waterfront views. 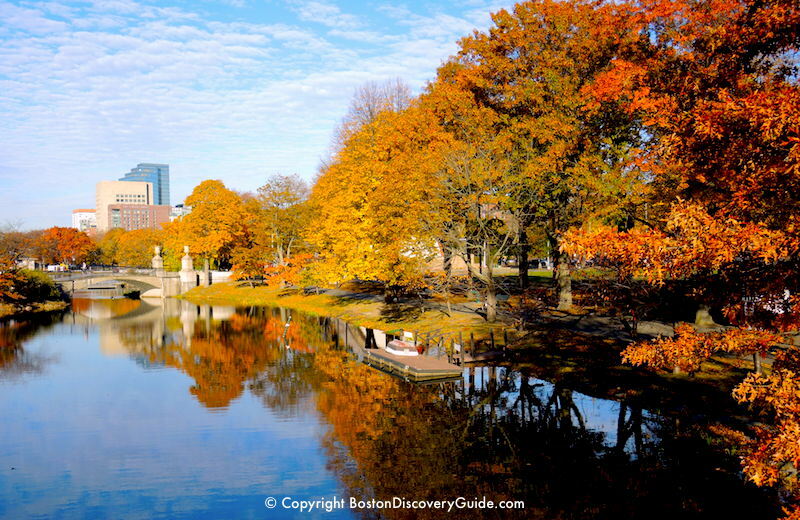 Charles River and the Esplanade - The Esplanade is one of Boston's best hidden secrets - a long linear park between Storrow Drive and the Charles River. Lots of Boston visitors don't even know it exists because you have to access it by special footbridges. Home to the famous July 4th Concert and Fireworks at the Hatch Shell, the Esplanade is a favorite of runners and walkers. Sit on one of the floating docks to get great views of the river. For a more exciting river experience, take a Charles River cruise or a Boston Duck tour and cruise. Downtown Waterfront and Harbor Cruises - Historically and today, Boston is a maritime city - and there's no better way to experience it than by going on a Harbor Cruise. South Boston Waterfront Entertainment - This is Boston's liveliest neighborhood, with numerous restaurants and bars overlooking the Harbor, and also where you'll find the popular Children's Museum, contemporary art and performances at ICA Boston, and the Blue Hills Pavilion, site of almost-nightly summer concerts. Boston Harbor Islands - Located just a few miles from the city and easily reached by ferry, the Harbor Islands played a special role in Boston's history. You'll still find a historic fort, spectacular views, and wonderful spots for swimming, hiking, and birdwatching. The New England Aquariumlocated on Boston's downtown waterfront immerses you in another world where you can experience a giant coral reef and its colorful tropical fish, laugh at playful penguins, and can even meet and greet seals and sea lions on behind-the-scenes tours. 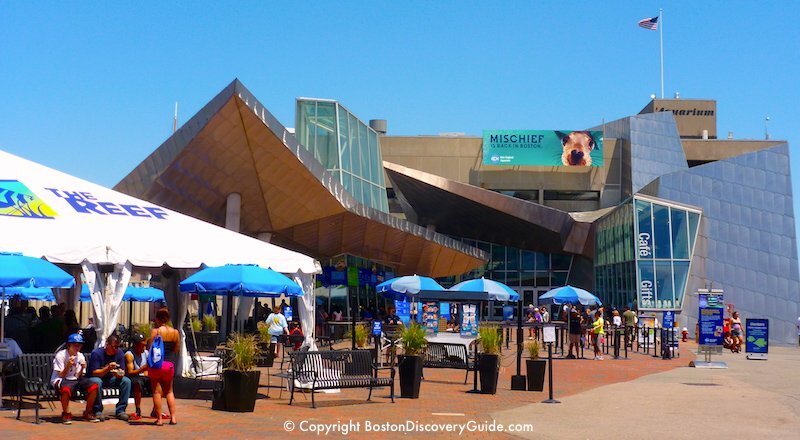 Designed to appeal to all ages, the aquarium is one of Boston's very top attractions for visitors as well as locals. It's the perfect place to visit on less-optimal weather days, and even better when the sun is shining and you can enjoy its expansive views of Boston Harbor. 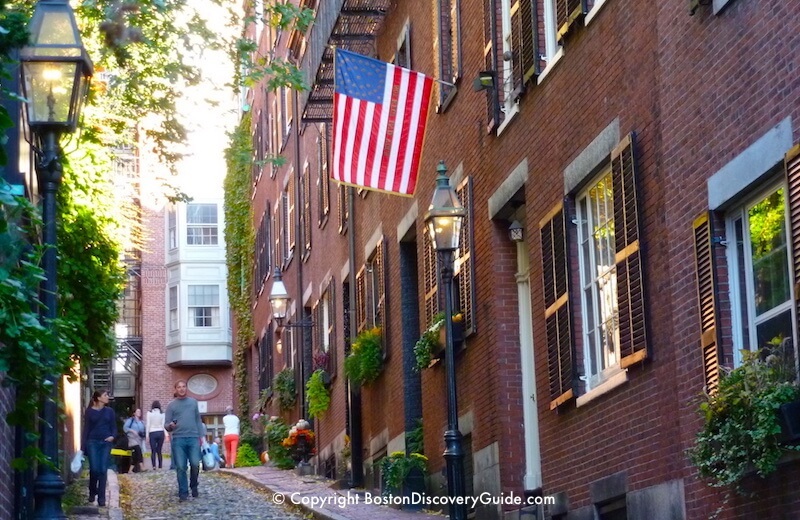 Filled with elegant Federal-period mansions, gas lights, and cobblestone lanes, Beacon Hill is where Boston's first European settler built himself a cabin in 1625. This is the city's most historic neighborhood, home to Bostonians active in the abolition of slavery, religious freedom, and equal rights. You'll find Freedom Trail and Black Heritage Trail sites here, along with plenty of other places to explore. Some of the city's top boutiques and restaurants are located here as well. 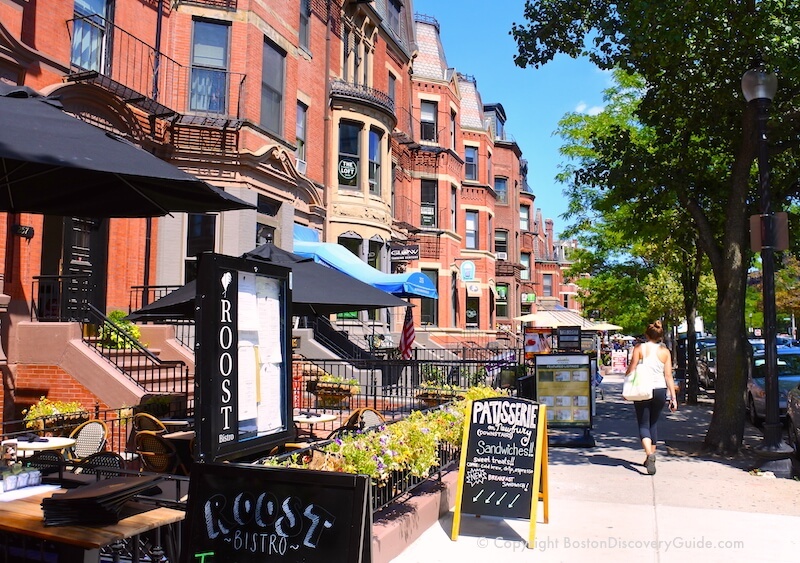 Mellow Victorian brownstones, clothing boutiques, and trendy restaurants where outdoor dining rules during warm months come together on Newbury Street's eight fashionable blocks in the exclusive Back Bay neighborhood. Only one street over, on Boylston, look for high end electronics, athletic gear megastores, and even a few bargain-packed discounters. 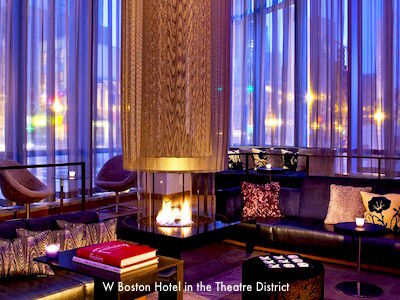 With Prudential Center and Copley Place shopping nearby, the whole area is a fashionista's dream come true, and a top Boston attraction for visitors as well as local shoppers. Hop On Hop Off Trolleys - With convenient stops in Beacon Hill, these trolleys give you a great way to see Boston!